I took the ferry to Sidney today to get Ancient Murrelet ready for the summer. The ferry ride was great with sightings of dolphins and orcas and performances of the Vancouver Youth Choir during the trip. Ancient Murrelet looks great and I left in the evening. After weeks of sunshine, we now have stormy weather and it is supposed to rain more in the next 36 hours than all of the month of March. 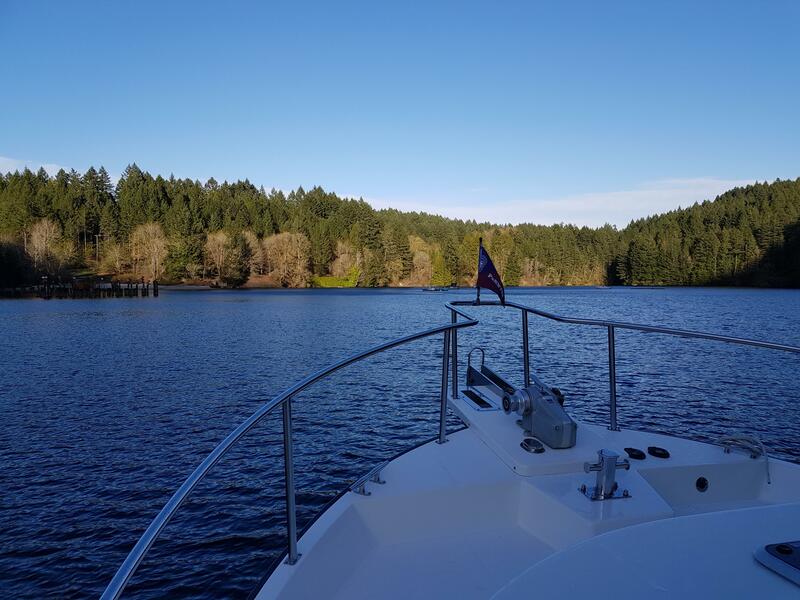 I am anchored in Tod Inlet, a very protected bay close to Butchard Gardens.